A brilliant presentation example of a brief introduction of organizational chart. Download it for free to learn more about organizational chart and get some marvelous organizational chart examples. Benefits and limitations of organizational chart. Top tips to create effective organizational chart quickly. Click the following picture or links to download this PowerPoint example. This slideshow example is innovative for the highly artistic blend of color, shape and visual diagrams. 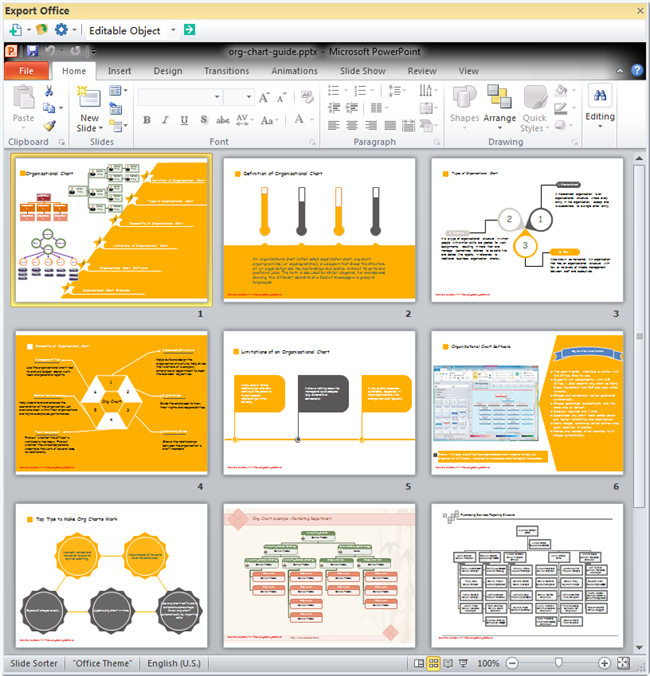 These slides will surely help you deliver wow and help you create organizational chart better. To design more beautiful slides like those shown in the presentation, try our amazingly powerful presentation tool. You can also use this ppt example as a template. Double click the text boxes to replace the content. The shape size, color and background can all be edited easily. Uses a minimal method which means less is more. Put less words in each slide. Use large fonts and bold colors to make it readable.